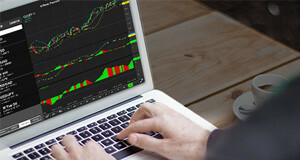 ECN brokers are undoubtedly one of the most popular types of online trading broker around today. ECN stands for Electronic Communications Network, which is the place where traders bid against each other, and ECN brokers are the financial experts who facilitate trades (usually for a commission). Here are some of the advantages of using ECN brokers to trade. One of the main attractions of ECN brokers is that they offer super tight, varying spreads and better bid/ask prices compared to market makers. 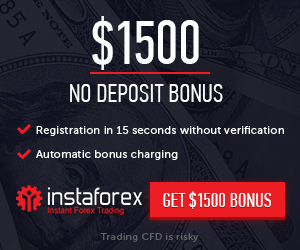 This is suited to intraday traders who want to profit from small market movements, and tighter spreads can make a significant difference to those spread betting or trading CFDs. It does, of course, depend on the broker and their reliability, but profits can be increased significantly as a result of tighter spreads, since the broker is charging less per trade. That being said, ECN brokers are used by many different types of traders, not just intraday traders. The majority of ECN brokers offer extremely useful tools which are used by traders on a daily basis. These include tools for both fundamental and technical analysis, which can make the trading experience much smoother as well as providing traders with the market information they need to make well informed and logical trades. These include graphs and charts which display information about previous market behaviour as well as current market trends, and help traders predict how an asset might perform in the future. They also include data on economic events which may affect market behaviour, such as political elections. ECN brokers are known to execute trades extremely quickly, meaning that they are particularly suited to volatile markets like forex. This is because these types of markets require trades to be made almost instantaneously, since they are moving so quickly. Traders can use the swift trade execution offered by ECN brokers to make far more trades per day, and take advantage of the increased liquidity as a result. Some trading platforms even offer automated trading features which make trades on the user’s behalf when certain market conditions are met. These are some of the many advantages offered by ECN brokers, but that does not necessarily mean they are suited to every type of trader. Depending on trading strategy, investors can use the tight spreads and useful tools to aid them in achieving trading success.